For years, anyone who rode a mountain or road bike in Zambia had the same problem: the spares we all needed could only be bought in South Africa. Today, though, we have some very good news! Prozam MTB Supply has set up two outlets in Lusaka, stocking a growing range of essential cycling supplies, including chains, brake pads, tires, lubes, sealants, and more. Scroll down for a complete list of their products. The outlets are positioned so that they’re easily accessible from Lusaka’s main MTB areas: Leopard’s Hill and Lilayi. Mudpackers is inside Leopard’s Hill Business Park, which is on the left, 500m after American International School, if you’re coming from Lusaka. To enter the business park, take the gravel road turning off Leopard’s Hill. After about 100m, enter the gate on your right. Mudpackers is near to Zambean, in the building closest to Leopard’s Hill road. Coming from Lusaka on Kafue road, turn left onto Mukwa drive, which is the second tarred road on the left after you pass the Baobab School main gate. Exactly 1km after you turn on to Mukwa drive, KTM Zambia will be on your left. 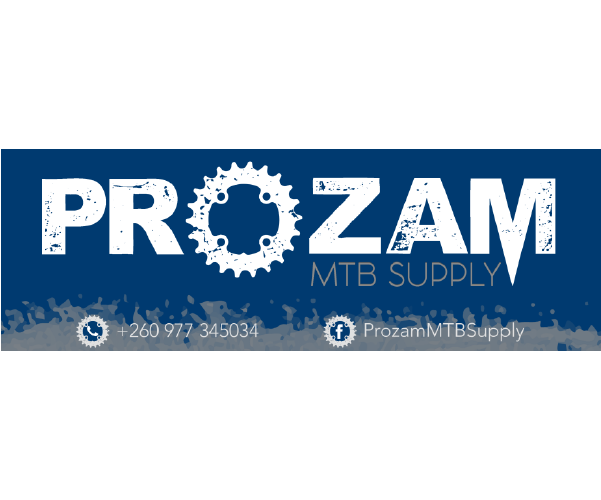 Prozam MTB Supply are looking for resellers of their products outside of Lusaka. Contact Andrew on 0977345034 for more information.